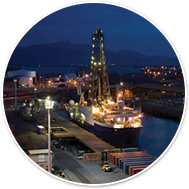 assess applications for IODP panel representatives. These tasks are predominantly conducted online, however Committee members will hold a regular teleconference and an annual face-to-face meeting (19 October, 2018, in Adelaide following AGCC) to discuss policy directions and develop Committee projects. ANZIC is seeking three new Science Committee members in semester 2, 2018. Expressions of interest are invited from researchers based in member institutions, at any career stage and in any area of expertise, however experts in IODP Themes 1 -Climate and Ocean Change and 4 Earth in Motion- hazards, are of particular interest in this round. EXPRESSIONS OF INTEREST close the 3 September, 2018. Your research interests and experience aligned with one of the four themes progressed by IODP (see https://www.iodp.org/iodp-science-plan-summary/file ) . Feel free to identify a minor theme if that is of relevance to your background. 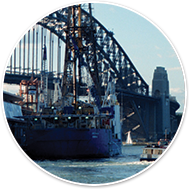 Your interest and any experience in ANZIC and IODP activities directly or indirectly (this is dependent on career-stage and opportunity). Acknowledgement that committee work includes confidential assessments of applications throughout the year, work on subcommittees related to the development of scientific activities and policy of ANZIC and an ability to attend/particpate in committee meetings (teleconf. and face to face).